The images below are roughly in chronological order, starting in 1994. The set of three pictures at the end are from last weekend, and the mammoth turtle before that is from the summer of 2012. Click on any picture to embiggen and/or view as a slide show. Arrow keys will move you thru the gallery, and the escape key will get you out. 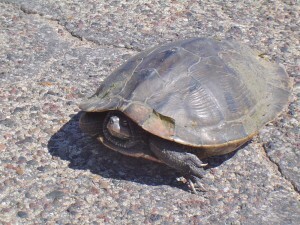 A newly born turtle prepares to cross a road in Lake Hallie, Wisconsin. 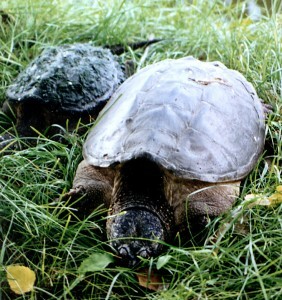 We literally stumbled onto these turtles in a park near Lake Winona (Minnesota) in the summer of 1999. 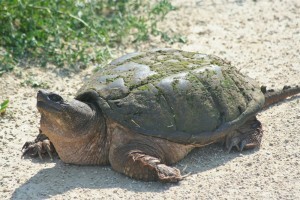 A snapping turtle tries to hide from a photographer while sunning itself in southwestern Wisconsin. 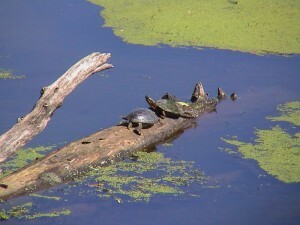 A group of turtles sunning themselves on a log in the Buffalo River Marsh north of Alma, Wisconsin. 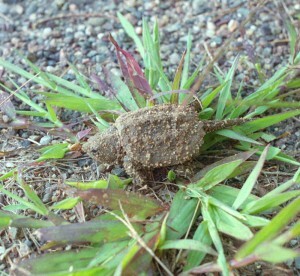 This snapping turtle was about two feet long, and was found on the La Crosse River Trail. 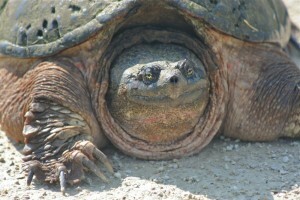 A snapping turtle smiles for a close-up picture on the La Crosse River Trail. 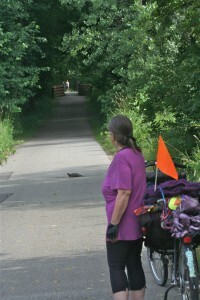 RoZ observes a turtle crossing the bike trail on the La Crosse Marsh. 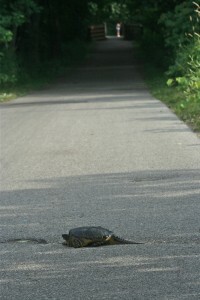 A turtle crosses the bike trail on the La Crosse Marsh. 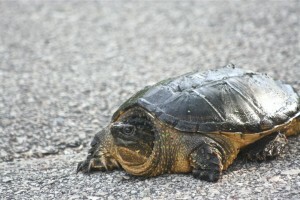 A one-foot-long turtle tenses up for a close-up picture on the La Crosse Marsh. This entry was posted in Outdoors and Wildlife. Bookmark the permalink. Love these photos and love turtles. Thanks for sharing.